MONTREAL, QUEBEC--(Marketwired - March 1, 2018) - Canada Strategic Metals Inc. ("Canada Strategic Metals" or "the Company") (TSX VENTURE:CJC)(FRANKFURT:YXEN)(OTCBB:CJCFF) and Matamec Exploration Inc (TSX VENTURE:MAT)(OTCQB:MHREF) are pleased to announce that a second drill is now on site to increase the current drilling program to 8,000 metres from the previously announced 5,000 metres. 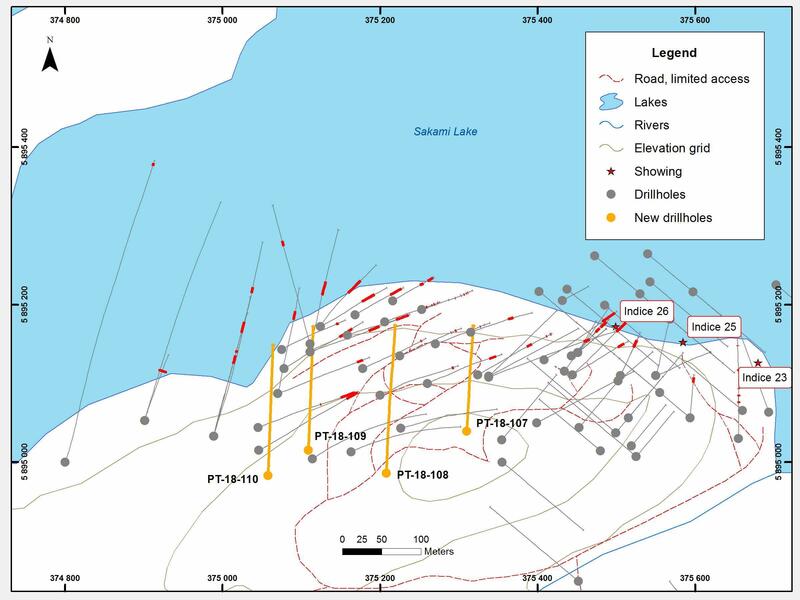 The second drill will focus on the shallow horizon mineralization of Zone 25 on the La Pointe area. On-site productivity is excellent, with four deeper-horizon holes already completed.